ADtranz Class 357/0 No. 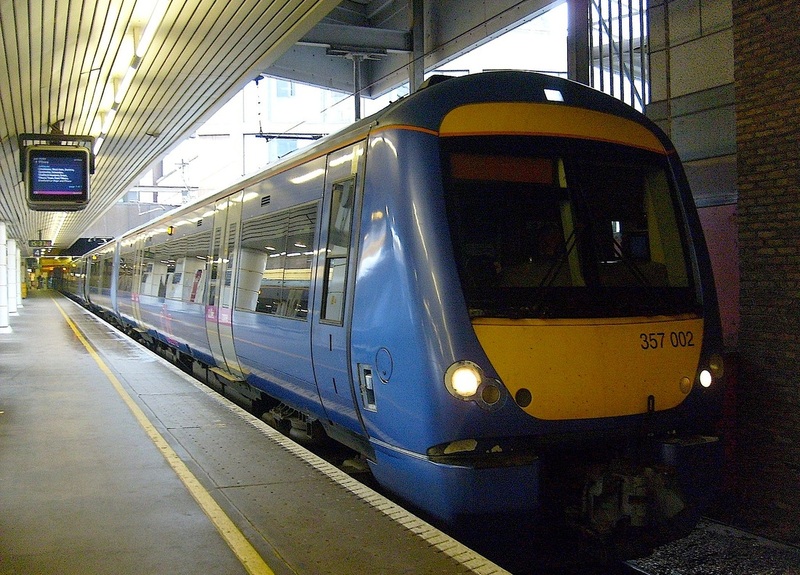 357002 at Fenchurch Street. (c) Peter Skuce. ADtranz Class 357/0 No. 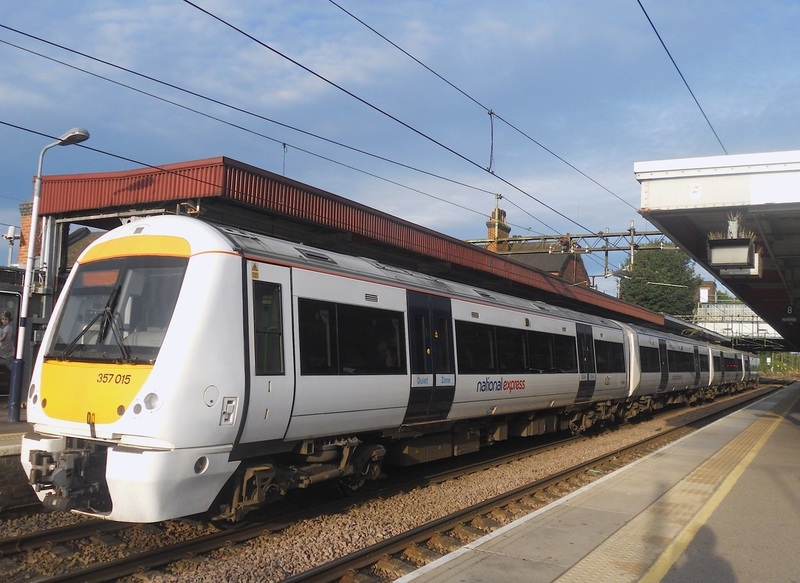 357015 at Upminster. (c) Peter Skuce. ADtranz Class 357/0 No. 357024 at Fenchurch Street. (c) Peter Skuce. 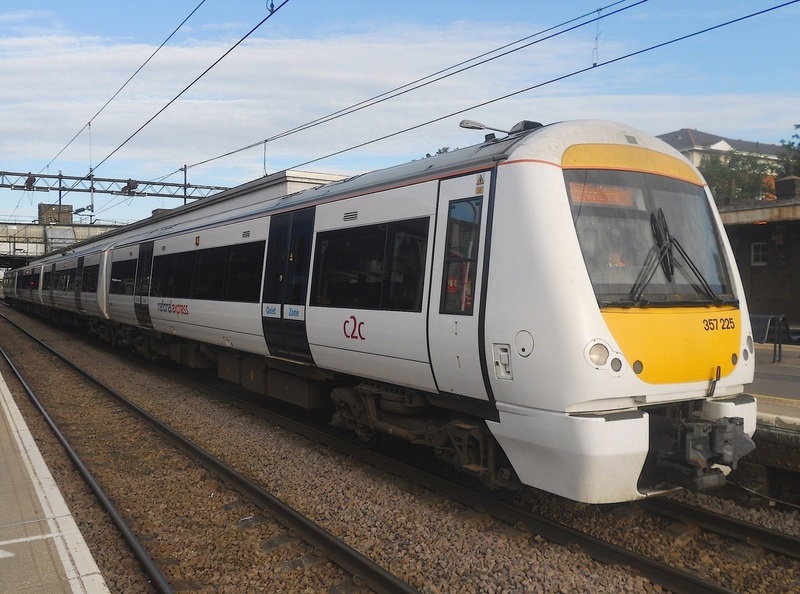 ADtranz Class 357/0 No. 357043 at Barking. (c) Peter Skuce. Bombardier Class 357/2 No. 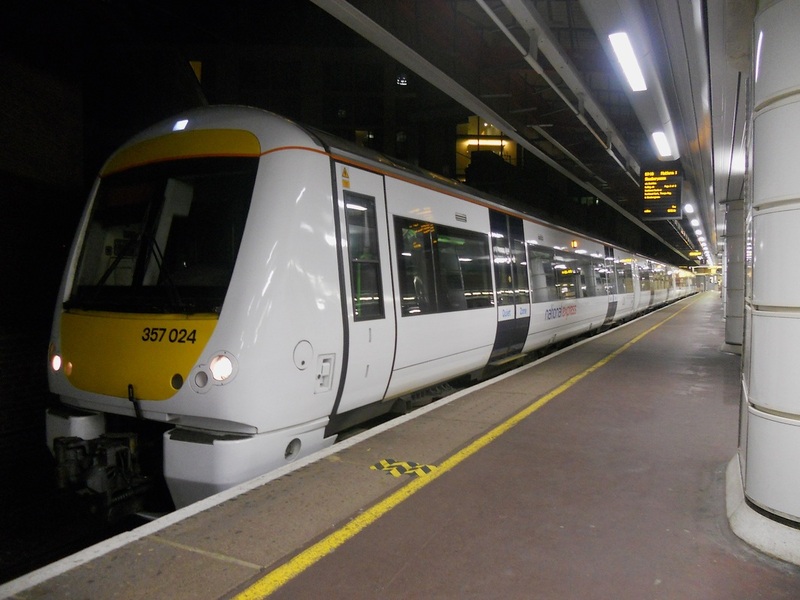 357202 at Fenchurch Street. (c) Peter Skuce. 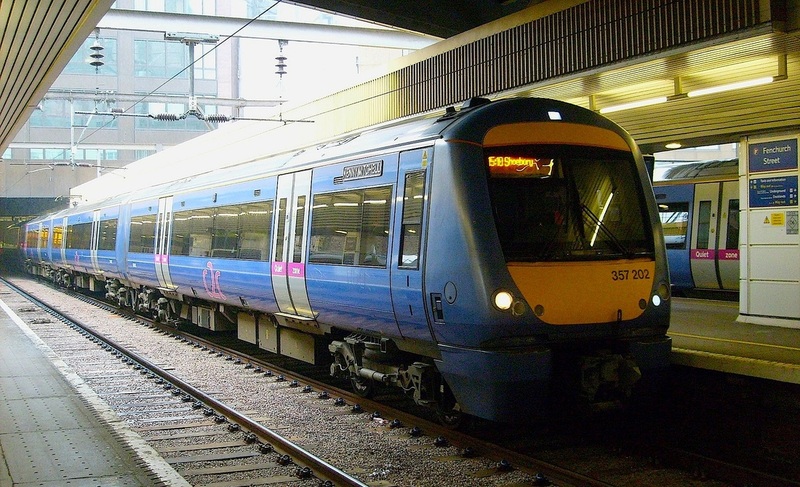 Bombardier Class 357/2 No. 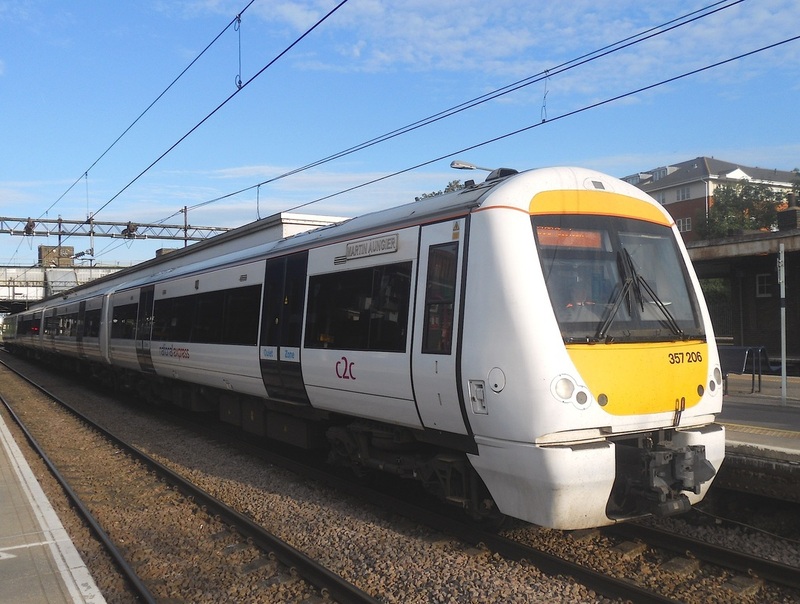 357220 at Barking. (c) Peter Skuce. Bombardier Class 357/2 No. 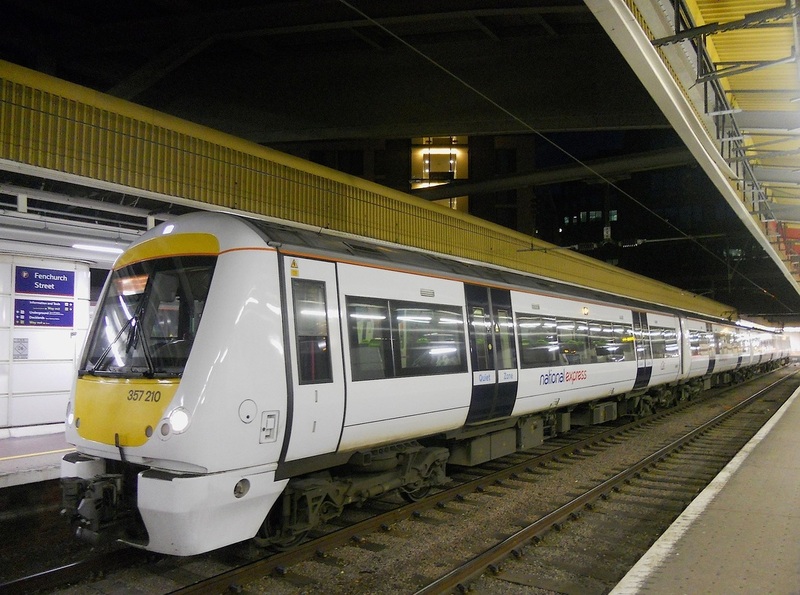 357210 at Fenchurch Street. (c) Peter Skuce. Bombardier Class 357/2 No. 357206 at Upminster. (c) Peter Skuce. Bombardier Class 357/2 No. 357225 at Upminster. (c) Peter Skuce. 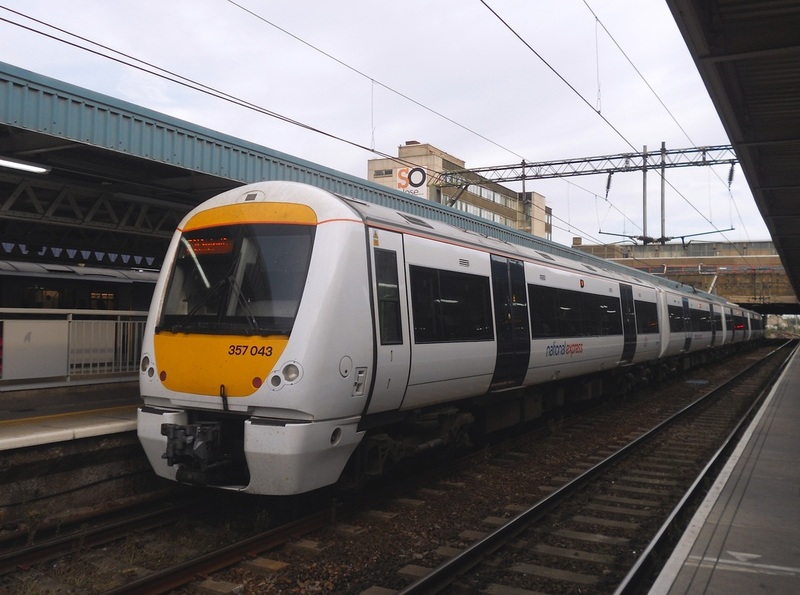 and twenty eight Bombardier Class 357/2 Electrostar EMU trains (357201 - 357248), built 2001 - 2002. 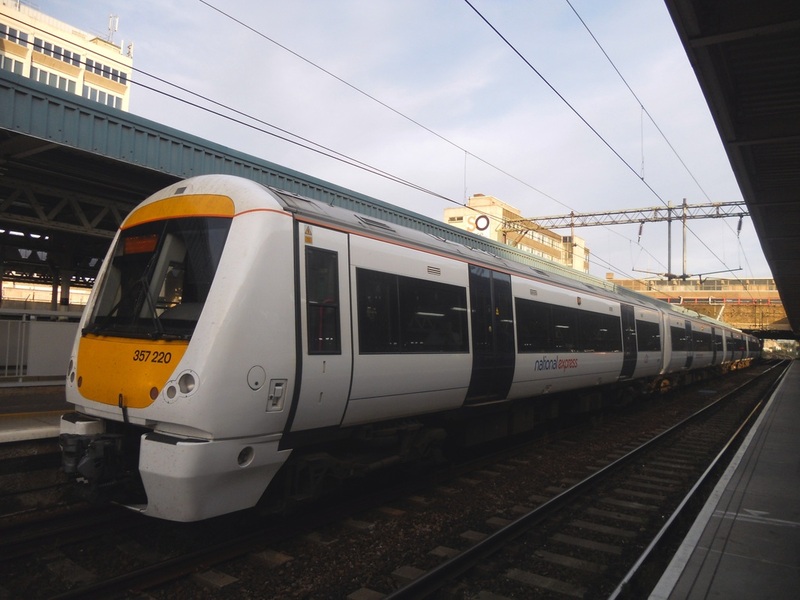 There is a total of seventy four Electrostar EMU trains. 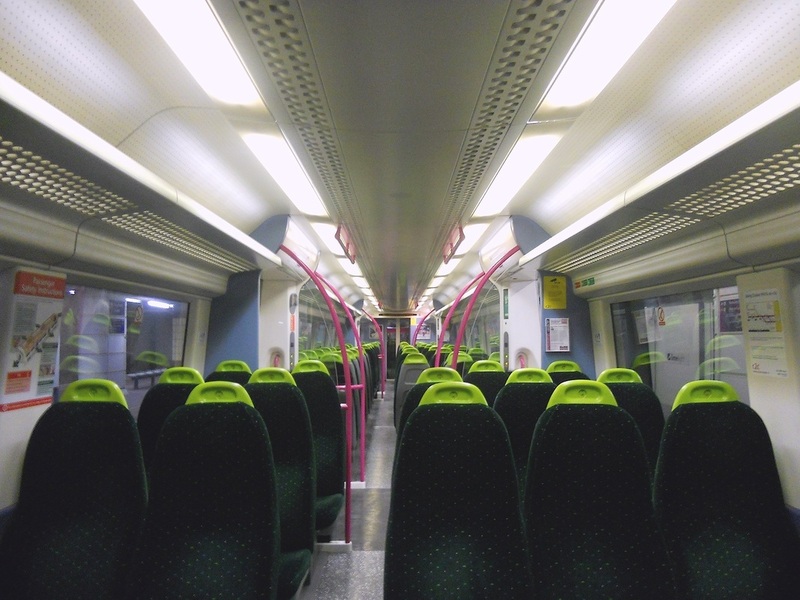 The Class 357/0 EMU trains are the first Electrostar EMU trains to be built.